I’ve lost touch, and probably memory too. I like Microcontrollers. I will make a Megatron out of these little things one day (if I can stick to it though). So, now that I have decided to revive the hobby again, I think I’ll start with the basics. The difference this time will be, that we’d be using Linux for this purpose in a bid to learn it more and more (psst, Let’s keep an audacious goal of making an OS someday) instead of windows. In windows, I was used to compile in an IDE and burn it using another software and I never gave an iota of thought of how a Makefile worked. Now I do, seriously, my butter on bread depends on it. I’ve worked with AVR16 specifically in the past, mainly because it was the microcontroller that I was introduced to and the only one I had, along with a small kit. It should suffice for the moment, but it would be nice to see if we can learn the 8051 too and probably start venturing into the ARM domain. If I am to make a Megatron, 8-bit will not suffice, now will it, unless we hack around and do something unthinkable (unthinkable because I cannot think of it yet.) That reminds me of Massively Parallel Processing algorithms that I have not read anything about. But hey, take that in the shopping basket too. We'll check out someday. Okay, so we have a ATMega16 microcontroller, a USBasp ISP programmer, a 9V DC supply adapter and necessary connecting cables. Earlier I used to use the Serial Programmer, but since Serial Ports aren’t seen on Laptops nowadays, I’ll go with the USB. Someday, we’ll use JTAG interface, but it’s this as of now. Now, remember when we wrote our first program, what did we write? 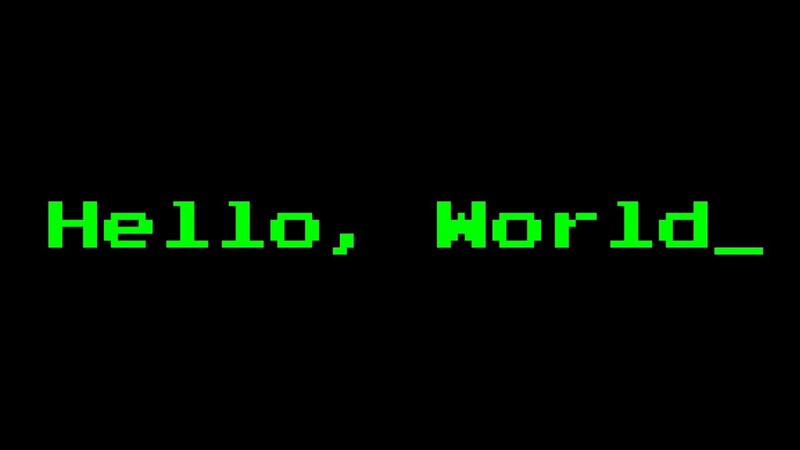 “Hello World”. Well, in this simplistic setup, we definitely cannot write hello world. But we can make it symbolic, like a SOS signal, a LED that blinks continuously. Now, information presented here (in this section, this post is just a quickie) will make equal emphasis on the hardware specifications and will be fraught with lots of digressions to consider possibilities with which we may evolve. I am probably going to blabber, but hey, you want the code, or you want to learn? If learning is the key, then join the thought trail too, or else, code is given at the end of each post (of course under an adfly link). Also, there will be problems that I will encounter, and if I find an answer to them, I’ll share them here. If I don’t, you’ll probably not know I had them in the first place. Or maybe I will, you might be Bill Gates or Dennis Ritchie (May his blessed soul rest in peace) or who knows a new prodigy. #include<avr/io.h> //To tell the Compiler where all the AVR input/output definitions are. Now, to make a SOS, it has to be intermittent, or the rescue party will think there is a party going on here. So, we’ll need to turn ON and OFF the LED. This is done using this custom function. I know, I know, it could be done without much fuss, by simply telling a full scale value. But sometimes the system does not accept it, so, we’ll be incremental in our timings. Now, the main function where we first set the 0th pin of Port A as output port and set it one and zero alternatively, indefinitely. This is pretty much C (easy?). Now, we need to compile it. Now, we could make a Makefile and use that template everywhere. But since we are starting from ground zero, let us hand compile it. This basically invokes the AVR-GCC compiler (which I assume you have installed, no?) with the target microcontroller family as atmega16 to compile blinky.c (yes we named it blinky) and also create an object file by the same name and a .o extension. This is another program that you must have installed. Yep, there it is. Then why in the world would it not work. I searched online and someone suggested that the microcontroller is dead. But I am sure it is not. Some say, check if the self program jumper of the USBasp programmer is shorted, it isn’t. So, I search some more. I disconnect my target board and do the same thing again. I plug the target back in and do it again. avrdude: reading input file "blinky.hex"
Things to learn, first make necessary check to see if the devices are functioning properly. Do not assume, or you’d be just as haphazard as this post was. There is a flow in which things are to be done, and its name is not emotion.